Ok Om Bok Festival is one of the important festivals in Vietnam in general and in Southern Vietnam’s provinces in particular. 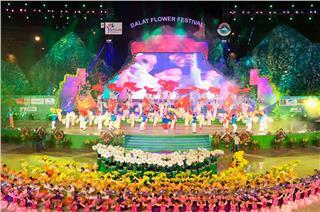 Annually, the festival takes place on the 14th and 15th days in the 10th lunar month. 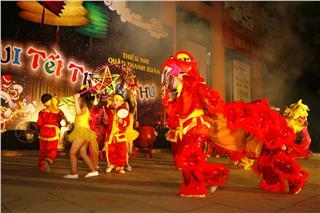 This festival is also called “Worshipping the Moon” festival. 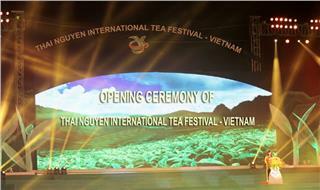 The festival has a great meaning to Khmer people in the region. They celebrate the festival to express their gratitude to the Nature which brings good harvests, good weather and happiness to them during the year. 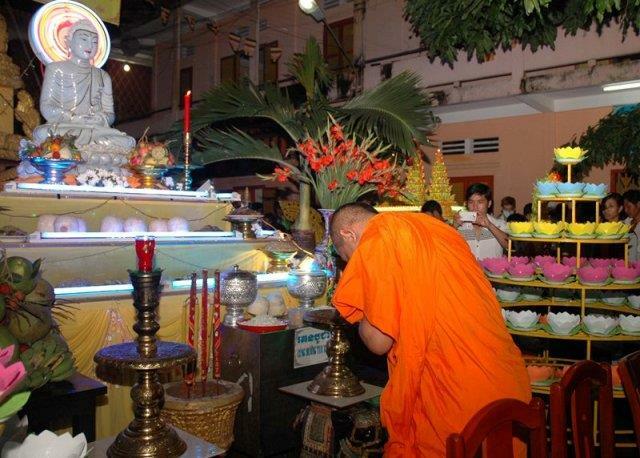 To Khmer people, the Moon is seen as a deity of controlling the weather and crops and blessing the wealthy and happiness; thus, in this festival, all households take part in the ritual of worshipping the Moon. 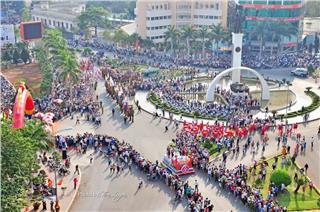 This festival is mostly celebrate in Tra Vinh and Soc Trang in which the Khmer people live densely. People in the region prepare for this festival for a month before the festival taking place. 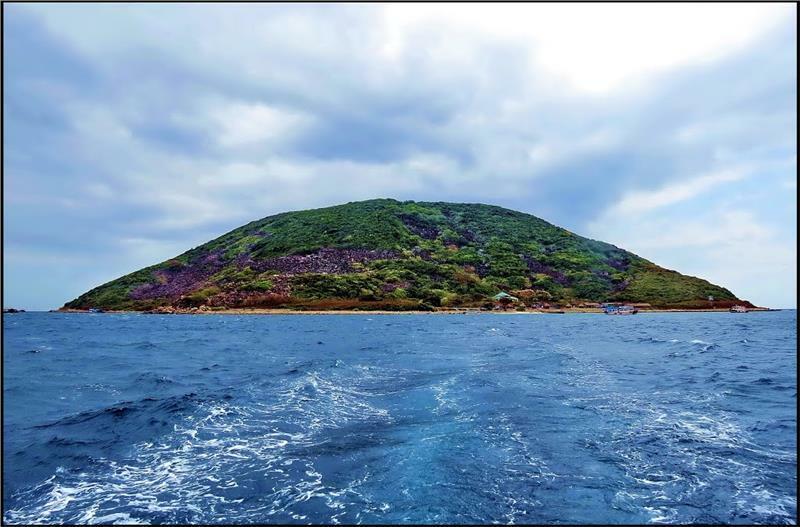 The common places where this festival in Vietnam is held are pagodas’ ground, houses’ ground, or an empty large area. People will prepare flat Com (rice), sweet potatoes, fruits, biscuits and candies. The local people use the best rice to produce Com then combine with beautiful flowers, which are offerings to the Moon. 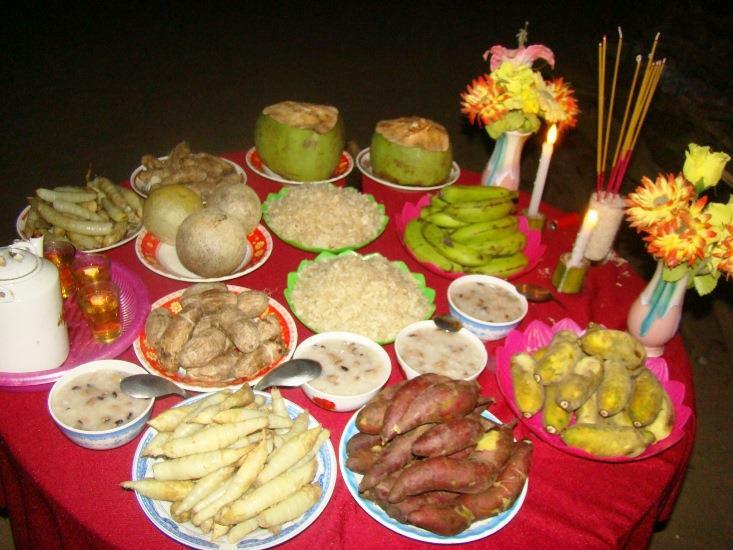 When the moon is full most, a virtuous and prestigious Khmer elder will be selected by the villagers to represent and express great gratitude of all people to the Moon for favorable weathers and good harvests; and pray for a prosperous year and good blessing to hamlets, villages with peace and happiness like in other Vietnamese festivals. During worshipping time, children gather in large crowds to wait for eating cakes and being asked about their futures. According to the ancient concept, this ritual is to orient the future of these children and imply the gift from the Moon to everyone. 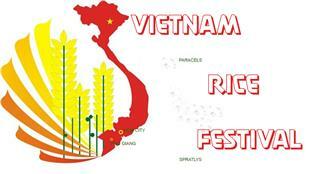 There are three most popular and interesting activities during this Vietnam festival, including building bamboo gate, dropping wind lanterns, and Ngo boat racing. 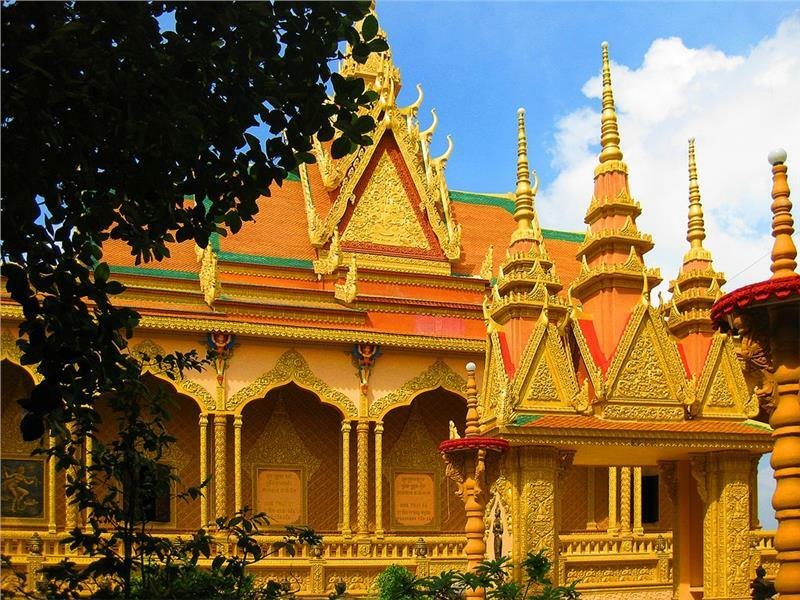 In the activities of building bamboo gate, first, the Khmers make a gate with two bamboos as main pillars and coconut leaves as horizontal arches. They hang a rope of 12 betel leaves representing 12 months in a year, and a line of seven arecas symbolizing seven days in a week. Below the gate, the offerings are placed neatly to express their respects to The Moon. On the night the 14th day or 15th day when the moon rises highest, people gather in the yard of pagodas or houses, look towards to The Moon to celebrate. 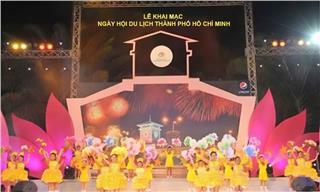 The ceremony has the participation of both the elderly and young children. Then, all gather together to enjoy the gifts, singing, and playing. 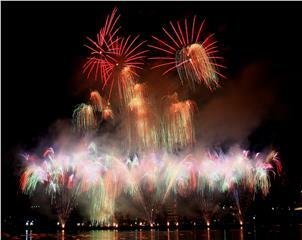 Among those, dropping wind lanterns and Ngo boat racing are two activities which are favored most by everyone. 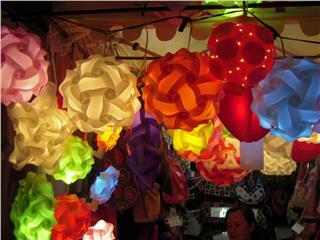 Dozens of lanterns, which are released, sway in the wind and glare beautifully in the sky. It is believed that the lights will take away all woes, misfortunes and leave peace in hamlets. 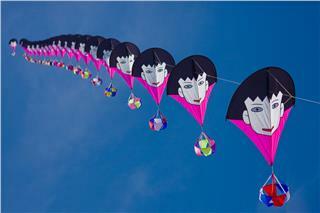 As usual, dropping wind lanterns event attracts thousands of viewers. 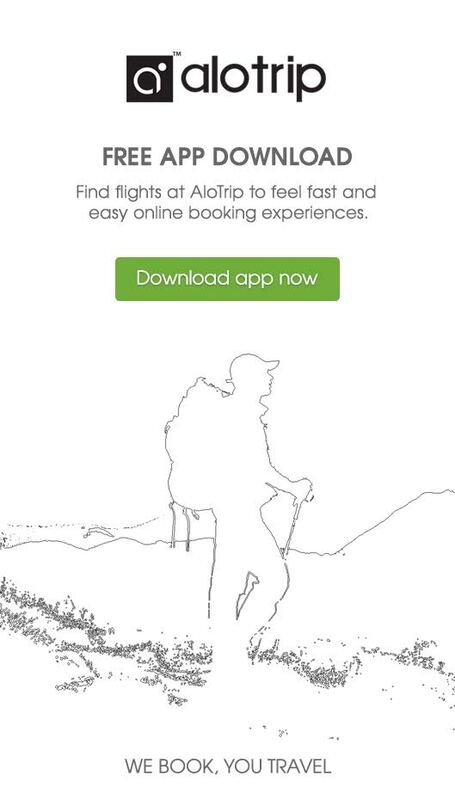 Currently, this activity, in addition, attracts other provinces and overseas visitors. Meanwhile, Ngo boat racing is a popular and traditional sport of Khmer during the Ok Om Bok Festival. Annually, Ngo boats are maintained and launched to prepare before that race. Ngo boat racing is an attractive and exciting sport. 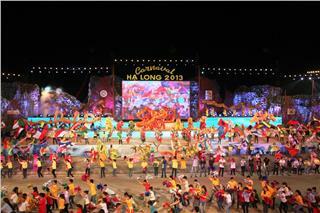 Hundreds of tourists and local people come and immerse into the exciting atmosphere of the festival in Vietnam. 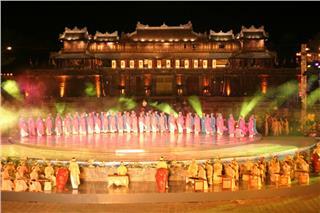 This activity is one of the most outstanding cultural products of Khmer people in Southern Vietnam. It is also the symbol of a prosperous and affluent life. 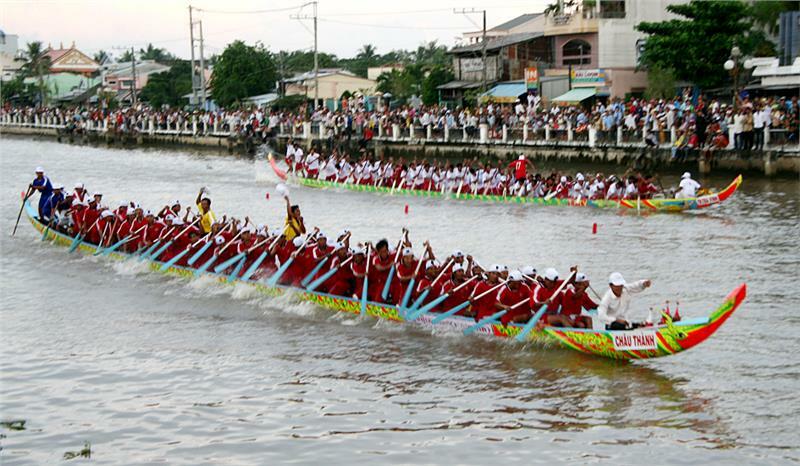 Boat racing is held annually in the city of Soc Trang, with the participation of Can Tho, Bac Lieu, Ca Mau, Kien Giang, even teams from Cambodia. 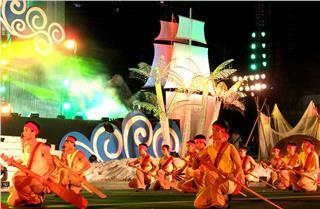 This shows that the festival associated with traditional sport is growing popular, and becomes one the largest traditional cultural events in Vietnam. Ok Om Bok Festival plays an important and profound role in mental life of Khmer in Southern Vietnam. It is gradually becoming one of important Vietnamese festivals reflecting desire, soul and emotions of among people and of people to their ancestors. Holding annually the festival is to not only preserve and promote traditional cultural beauty and humanity of Khmer people, but also fascinate tourism products to attract more tourists.